Being injured in an accident through no fault of your own is a devastating and confusing experience. It’s important, however, to remember that you have limited time to file a personal injury claim against the person(s) responsible for the incident and your injuries. 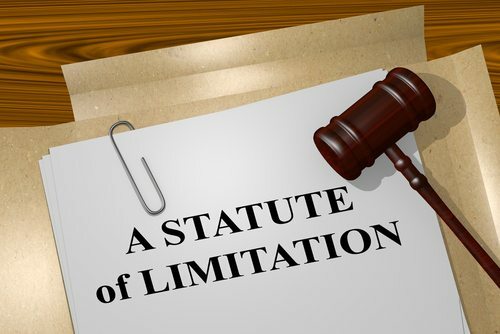 Here’s what you need to know about personal injury claims and Florida’s statute of limitations for civil cases. The statute of limitations for injury claims in Florida is four years. This means you have four years from the date of the accident to file a claim. At first glance, this may seem like quite a long time. However, after hospitalization, surgery, rehabilitation, and recovery, you may find that you have very little time left to file your claim. You don’t want to wait — it’s important to get a lawyer involved as soon as possible. If you are bringing an injury claim forward against a government entity, the statute of limitations is only three years. For example, if you were diagnosed with mesothelioma after working in a Navy shipyard, you would have just three years from the date of your diagnosis to file your claim against the Navy. If you were the victim of medical malpractice in a Veterans’ Affairs hospital, the same rule applies, whereas if you were the victim of medical malpractice in a traditional hospital, you would have four years to file your claim. If you or a loved one were injured by a government entity, it becomes even more important to act quickly and get a personal injury lawyer involved in your case as soon as possible before the statute of limitations runs out. At the Slonaker Law Firm, we have the skills and resources to aggressively represent you in an injury case. We will help you bring a claim forward with strong evidence within the specified amount of time, so you can obtain the compensation you and your family deserve. Call today for a consultation at (352) 629-6656 or (352) 777-8176.